Someone should tell Mr. Trump the damage that his trade policies are already doing to the rural and farm-state voters who put him in the White House. This year the U.S. is expected to export $134 billion in agricultural goods, from pork to nuts to corn and much more. Exports contribute about 20% of U.S. farm income, and U.S. agriculture ran a $19.5 billion global trade surplus in 2015. The No. 1 state for exports is California, which is home to high-value crops like lettuce and grapes. But Mr. Trump carried 11 of the top 15 exporting states, including Iowa, Nebraska, Indiana and Texas. OFS testified on three bills of concern to our members. The first two were in the House Committee on Agriculture & Natural Resources. HB 2038 provides funding for what is known as the “Farm to School” program. This program connects schools to local farmers for sourcing local agricultural products for school lunches. Katie testified in favor of the bill for OFS, but there was broad support from students, teachers, farmers and other Ag organizations. We’re hopeful that this program will continue to get funded despite the tough budget year. 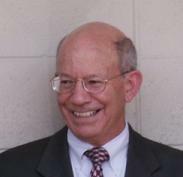 Congressman Peter DeFazio (D-OR) cut through bureaucratic red tape in the Trump Administration and helped to secure an increased catch limit for groundfish species caught in the Pacific Northwest Region. Every two years, the National Oceanic and Atmospheric Administration (NOAA) sets a biennial catch limit for several groundfish species, such as canary and widow rockfish, caught in the Pacific Northwest region. Because of overfishing, the industry had not had access to healthy rockfish markets in decades. Thanks to the efforts of Oregon fishers, the population has been rebuilt. Due to the recovery of the species, NOAA’s National Marine Fisheries Service (NMFS) substantially increased the catch limits for the 2017-2018 season. The Association of O&C Counties (AOCC) filed a complaint in the U.S. District Court for the District of Columbia, claiming the Obama Administration’s inclusion of Oregon & California (“O&C”) lands within the newly-expanded Cascade-Siskiyou National Monument violates the O&C Act, and exceeds the scope of presidential authority under the Antiquities Act. The O&C Act requires land agencies to manage O&C lands for sustained yield timber production to generate revenue for host O&C Counties and to provide an economic base for local industries and communities. AOCC says more than 80 percent of the proposed expansion is O&C land, and because Congress set aside the lands for a specific purpose, the President did not have authority to place the timberland into the expanded monument for a different purpose. There was one bill of interest to OFS members heard in the House Committee on Transportation. The bill, HB 2291, would require some farm trucks carrying pesticides, fertilizer, fuel or other “hazardous materials” to meet paperwork and signage requirements. Katie testified against the bill language around farm trucks on behalf of OFS, asking the committee to remove those provisions from the legislation. We believe that the requirements are onerous and unnecessary. The U.S. Army Corps of Engineers, the Bureau of Reclamation, and the Bonneville Power Administration are planning to make changes to the Columbia River System operations. The Columbia River System consists of 14 different federal projects in the Columbia Basin, including the Columbia River dams. When completed, the plan will contain a range of management alternatives to the Columbia River System that could greatly impact the viability of agriculture within the Pacific Northwest. As part of the planning process, the agencies are soliciting public comment from stakeholders so that they can identify the important economic and social values of the Columbia River System. Interest rates are leveling off, lumber and logs are steady, home values continue a steady rise, and housing starts are rising slowly, despite tightening home inventories. Canadian lumber exports are creating headaches. Recent trends of lumber, logs, home construction, and housing markets, are compared. To be an American generally means to be from somewhere else. With the exception of those of Native American descent, U.S. citizens are the children, grandchildren, great-grandchildren, and so on, of the people who left another land to make a better life for themselves and their families. Immigration is the story of America. It’s the story of my family, and I’d wager it’s the story of yours. But when we lose sight of this, it’s easy to muddy the waters of an already complex issue, forget what it’s actually about, and focus instead on what it isn’t.